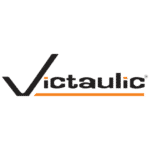 CHICAGO – JANUARY 26-28, 2015 – AHR EXPO (Booth #1920) – Victaulic, the world’s leading manufacturer of mechanical pipe-joining systems, releases the new Compact Pressure Independent Balancing and Control Valve (Compact-P) TA Series 7CP from IMI TA. The valve advances hydronic balancing with its compact size and precise ability to engineer high performance systems. Designed as a cost-effective option for tight fan coil cabinets, the TA Series 7CP limits overflows and simplifies high performance systems. With increased diagnostics, the TA Series 7CP minimizes guesswork and speeds up the commissioning process, simplifying detection of possible system failures. The unique diagnostic features ensure that the system performance meets stringent flow design criteria. Additionally, with high flow capacity and a low pressure drop, the TA Series 7CP decreases operating costs and minimizes pump head. The flow capacity reduces energy consumption, resulting in significant savings, increased efficiency, and occupant comfort. The TA Series 7CP is the latest evolution for hydronic balancing technology that helps engineers stay competitive and have 100 percent confidence in their systems. For more information about the TA Series 7CP and other hydronic balancing solutions, please visit our hydronic balancing page.